The Board of Directors at Sorbwater, together with the management team, target no harmful releases to the environment from the company’s operations and no absence or sickness due to working hour injuries or accidents. We plan our operations methodically to ensure we meet these targets – every day. 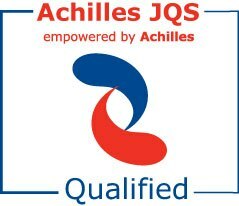 Sorbwater has implemented a quality system compatible with ISO standards and qualified for the Achilles JQS and Sellicha registration, regarded mandatory for all suppliers in the oil and gas industry in Europe. We ensure our subcontractors are compatible with this standard. The managing director is directly responsible for maintaining and further developing the HSE-Q system in place. Sorbwater Technology AS has also implemented strict ethical rules and guidelines. All personell have received training, and undertaken to comply with our codes.